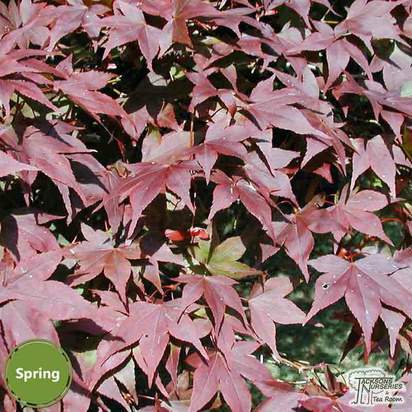 Acer palmatum (Japanese maple) are small, deciduous trees grown for their graceful habit and beautiful coloured foliage that is often deeply dissected. 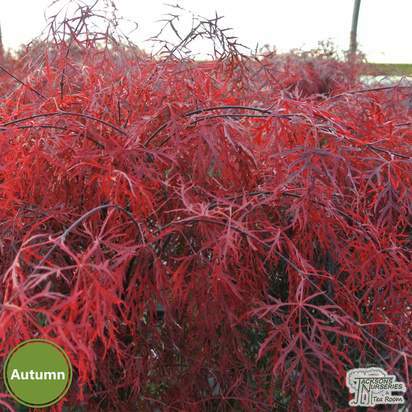 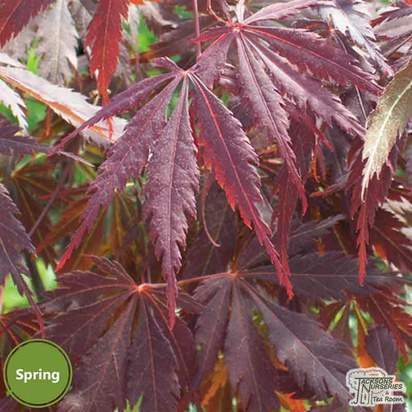 The acer is a perfect addition to any garden, especially if you’re looking to add some autumn interest or an oriental feel. 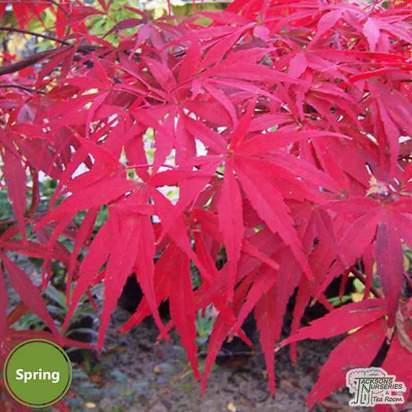 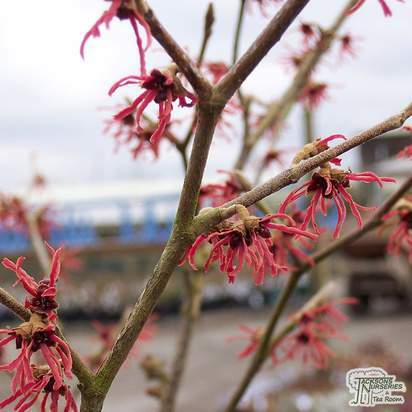 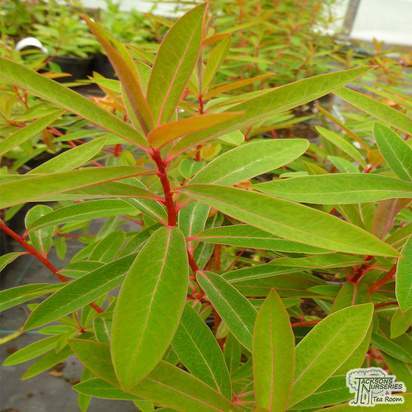 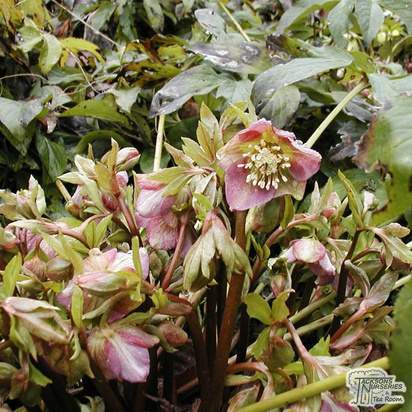 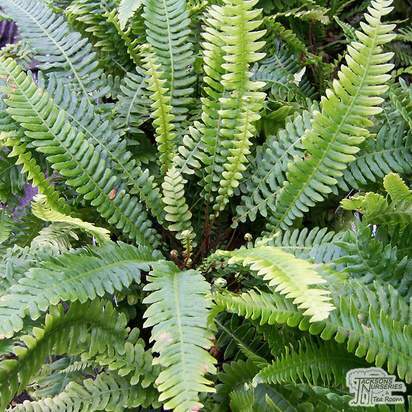 Many cultivars are extremely slow growing, making them perfect for small gardens, or for growing in pots. 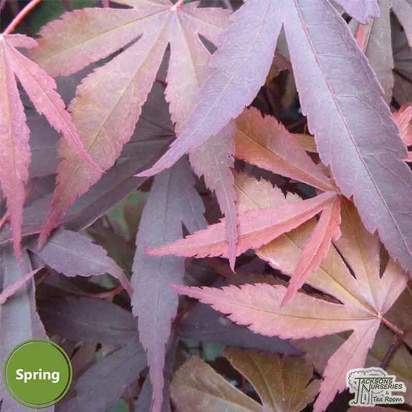 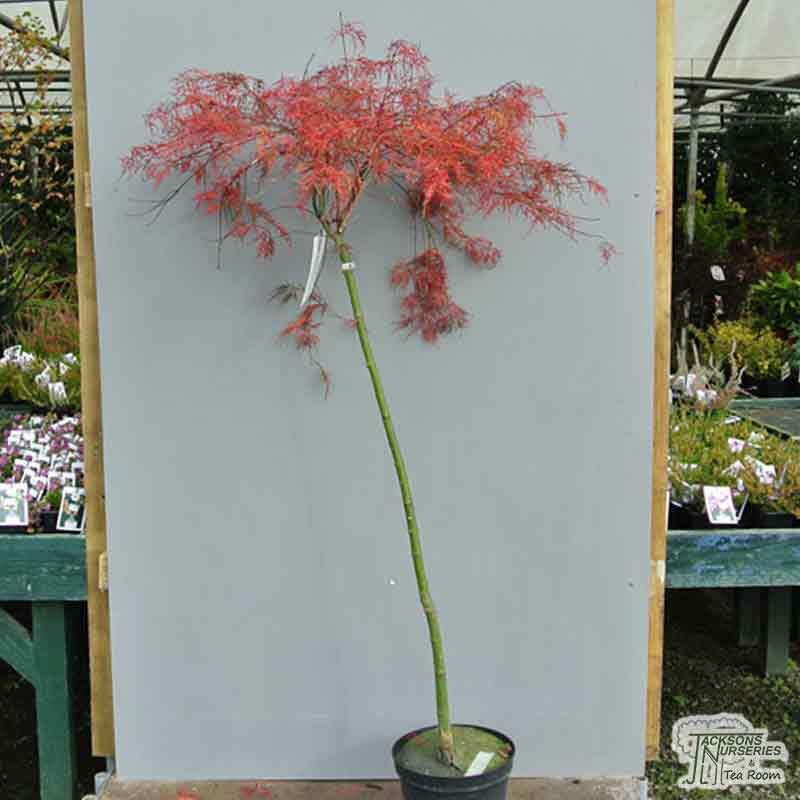 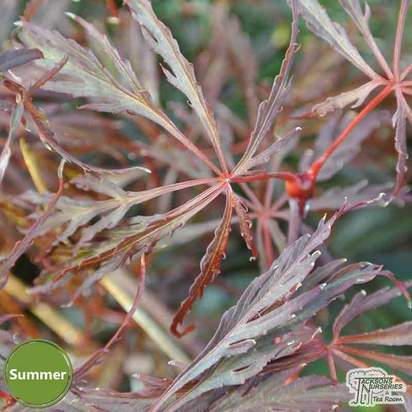 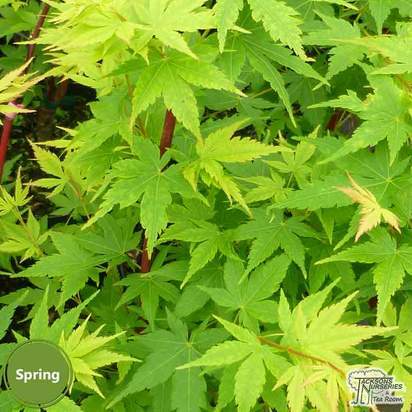 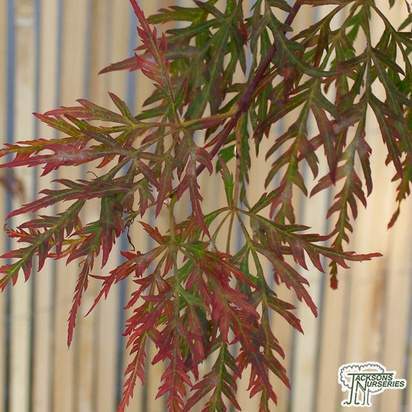 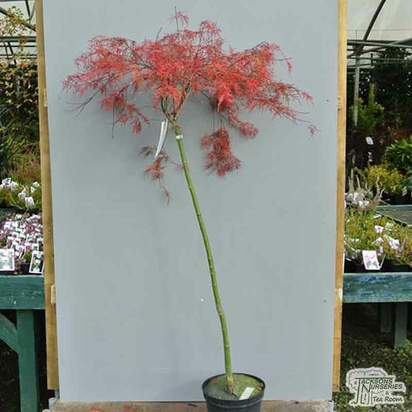 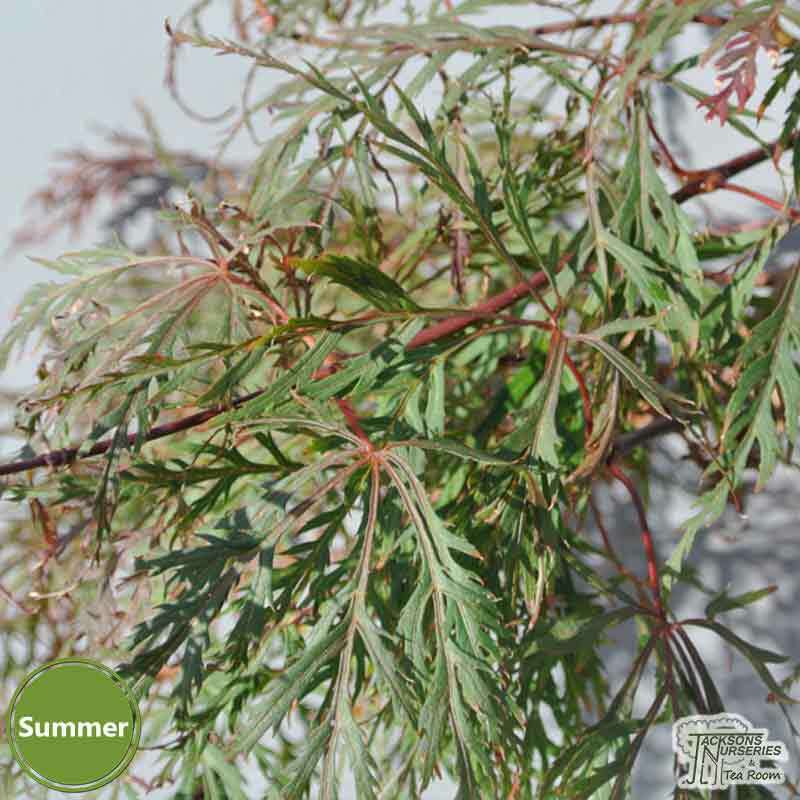 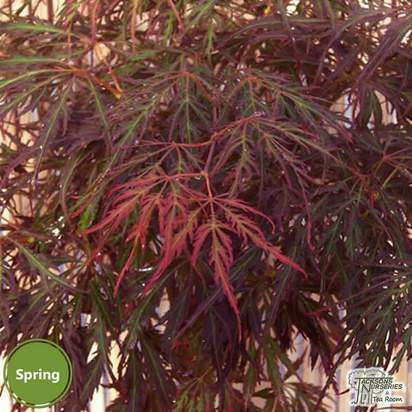 Acer palmatum dissectum ‘Baldsmith’ is a handsome acer with a mounded form, with lacy leaves which emerge bright orange/red and develop into shades of green, pink and orange through the summer months. 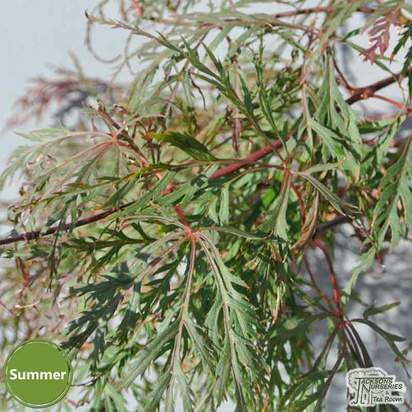 The combination of old and new leaves adorning the branches throughout summer makes for a beautiful rainbow of colour, adding spectacular interest to any garden.